At 0:16 of this studio session by John, a Tycobrahe Octavia pedal can be seen at the middle, and end of his drawer. According to Guitar World: "Another key effect that Vaughan used to emulate Hendrix tones was an Octavia fuzz pedal that produces octave-up effects. Vaughan initially used Roger Mayer Octavia pedals (housed in distinctive “spaceship” metal boxes), but when Diaz located three New Old Stock Tycobrahe Octavia pedals, Vaughan switched to those. His guitar tech, Rene Martinez, says that Stevie thought the Tycobrahe pedal produced the best Octavia effect he had ever heard. Vaughan especially liked how the Octavia sounded when used along with a Tube Screamer." March 2013 Issue, page 65. 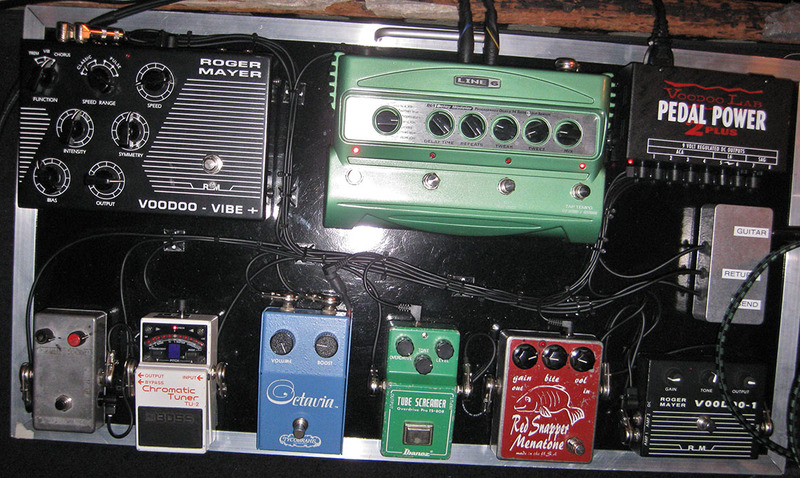 A Tycobrahe Octavia can be seen in this picture of Andy's pedalboard from 2012. At 2:11, Sayce talks about this pedal. At 27:26 of this "Rig Rundown" with *Premier Guitar*, Kenny talks about his Octavia re-issue saying "I have an original Tycobrahe Octavia at home that I reserve just for studio use. But these guys have really nailed the re-issue, I mean this an accurate re-issue of any other pedal I’ve ever seen." 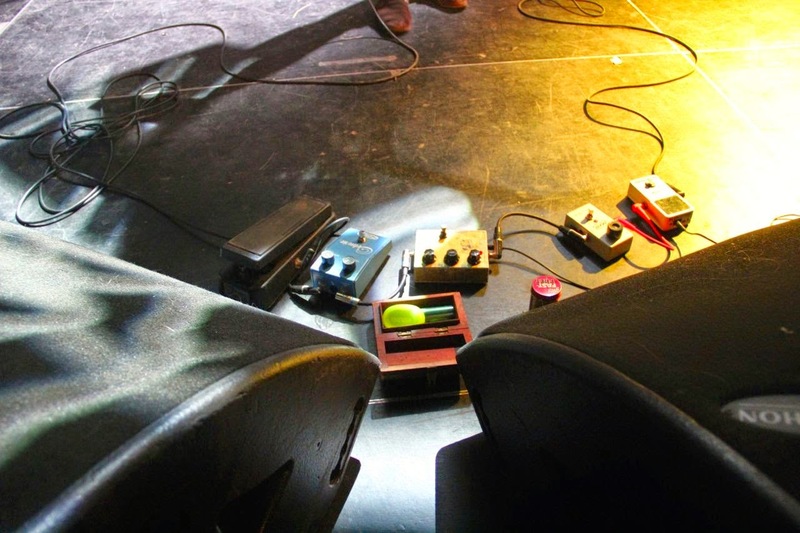 On this photo you can see Dorian pedalboard which includes **Tycobrahe Octavia** octave-fuzz pedal. Original article [here] (http://theguitarzombie.blogspot.com/2014/10/dorian-sorriaux-from-blues-pills.html) >I also use a fuzz, an octave-fuzz, called Tychobrahe. It's a very strange name, as a Frenchman, that is. Ha ha ha. Get the real authentic sound ..